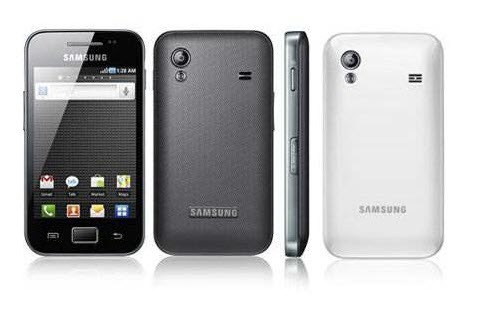 Now, Samsung Galaxy Ace users can upgrade their device by using official value pack XWKTQ Gingerbread 2.3.6 firmware. Over a period of last few months we saw on various custom ROM firmwares but this firmware is one of the best firmwares ever when we talk of Samsung released firmwares. Applying this firmware won’t need your device to be on the rooted firmware but yes just in case if your phone is on the rooted firmware, then the root access will be revoked. Before start to proceed we highly recommend you to take a full backup of your datas with the help of backup applications. But don’t backup the data with the help of KIES as it may not detect this firmware since Samsung has released this update in the selected countries only as of now. Finally, you should enable the USB Debugging in your device by following the path Settings>Applications>Development>USB Debugging.Ensure that USB Debugging option is ticked. First, download Odin + OPS and XWKTQ Value Pack Gingerbread 2.3.6 firmware package from here to your computer. Once downloaded, extract both the files and open Odin in your computer. The download mode in Galaxy Ace S5830 can be entered by pressing down on Volume Down Key+OK Button, and holding both simultaneously press the Power Button. Just in case, your device boots up in the normal mode, then you need to try again until it enter into the download mode. Once the device is booted in the download mode, connect your phone to the computer with the help of original USB cable. Assuming that Odin is opened, you will see that the ID:COM section in your Odin turns yellow which will indicate that all the drivers have been installed successfully. Now, all you need to do is to just click on “OPS” tab to select “Cooper_v1.0.ops”, tick mark on “One package” option. Up next, you will have to select the file “S5830XWKTQ_S5830XWKT8_S5830FRELT2_HOME.tar.md5” by clicking on “One Package” tab. Once you have selected the files, click on “Start” to start the process of firmware update. Once the firmware is applied successfully, the device will be rebooted. IMPORTANT : Just in case, if the odin gives error at param.fs or say at any point then you will have to reboot your computer and try applying the process from the start. Ensure that you have installed all the latest possible drivers of your phone. Also, KIES should be the latest version.